Is your child a LEGO Master Builder in-training? The hunt for the 2018 Mini Model Builders competition at LEGOLAND Discovery Centre is underway. This is an opportunity for LEGO fans to show off their build skills and be in the running to be crowned a 'Mini Model Builder 2018' at LEGOLAND Discovery Centre. Three lucky winners will receive a LEGO trophy (of course! ), plus some bricktastic perks including VIP invites to preview events, exclusive one-on-one building classes with the Master Model Builder and a free birthday party hosting up to 20 of their friends OR a free school excursion for their class. Winners will also receive a loot bag with a LEGOLAND Discovery Centre T-shirt, a personalised LEGO badge and unlimited entry to the attraction for a year! 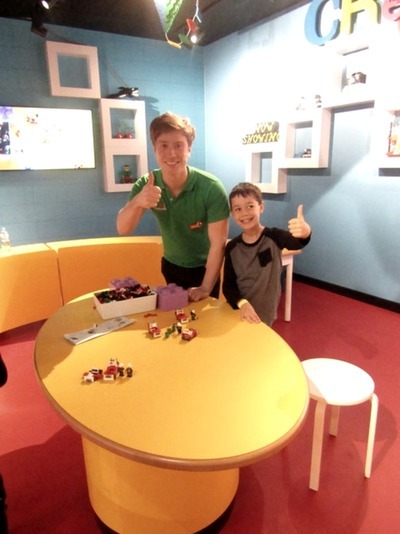 To be in the running, your child must be aged between 4-12 years and create a 30 second video introducing themselves and their most imaginative LEGO creation, while also answering two questions: “Why do you want to be LEGOLAND Discovery Centre’s Mini Model Builder?” and “What is your favourite thing about LEGOLAND Discovery Centre Melbourne?”. With the help and permission of a parent or guardian, entrants must submit their video via the online entry form. 36 finalists will be selected to compete in Australia’s first ‘LEGO Masters’ event – a children’s LEGO building competition that will be hosted at LEGOLAND Discovery Centre Melbourne on Saturday 21 April 2018. The finalists will participate in a number of LEGO challenges that will be judged by the attraction’s Master Model Builder and will see him eventually declare the three grand final winners as the 2018 Mini Model Builders. Note: All entrants must be available to attend the ‘LEGO Masters’ event on Saturday 21 April to be eligible. Has your child got what it takes? Apply now!.